It’s really been a while that I haven’t post about a character on Wednesday, I could have gone with another ranking, but I didn’t want to give you a February of ranking, so after presenting you my harem for 2018, it is now time to talk about the idiot you give me a lot of struggle since summer of last year. King Explosion Murder aka Bakugo Katsuki from the popular battle shounen, My Hero Academia. I have to be honest, at first I didn’t really like him, he is a bully after all and the way he was treating Midoriya just make me dislike him. He was a jerk with a one set mentally, someone who was looking down on the other. However after beginning reading the manga after the end of the second season (I didn’t feel like waiting after the anime and I encourage everyone to do the same) I slowly start to understand him. 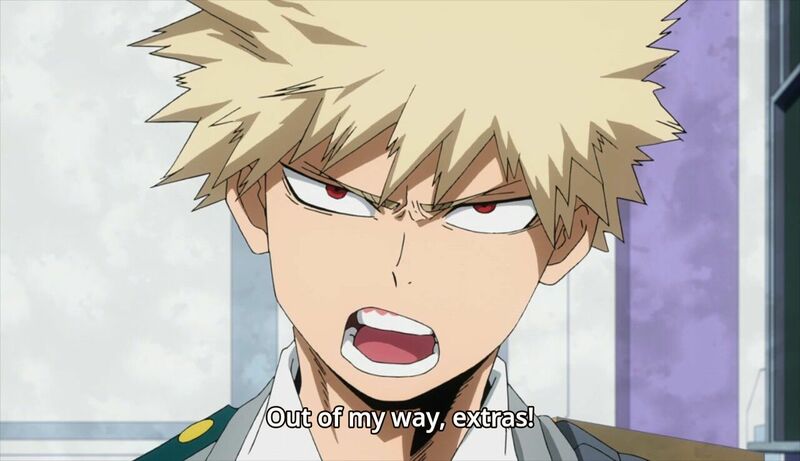 Katsuki is one of those character that you need to look at his background to understand his current behavior. Not that it excuse everything, but when you are put on a pedestal for the most of your young life, when you are treated like some exceptional cause of your quirk, when the adult doesn’t correct your bad behavior, it’s not surprising that you get the big head and think that you are better than everyone. Katsuki already started to change in the first season, after realizing that he wasn’t the best, that was people as strong as he was, this pushed him to work even harder. Despite his strong side, Katsuki also have a weaker side, he just doesn’t show like the other. He bottle up everything and eventually he let everything out like and explosion of thought and worries. This is what happened with his second fight with Midoriya on Ground Beta, since no one worried about how he was feeling after being abducted by the League of Villains, after witnessing All Might end after his fight against All for One and since he is not the type to show his weak side, he kept everything for him and get through the provisional license exam with the feeling of being weak. 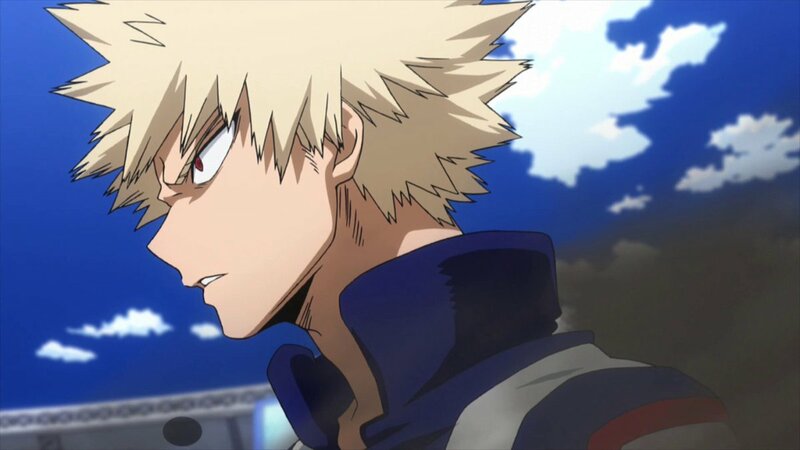 Since Bakugo is seen as strong people didn’t really bother to ask how he felt, people forget that he was a sixteen years old who got abducted and witness his hero end. All this cause he was seen as a strong individual. 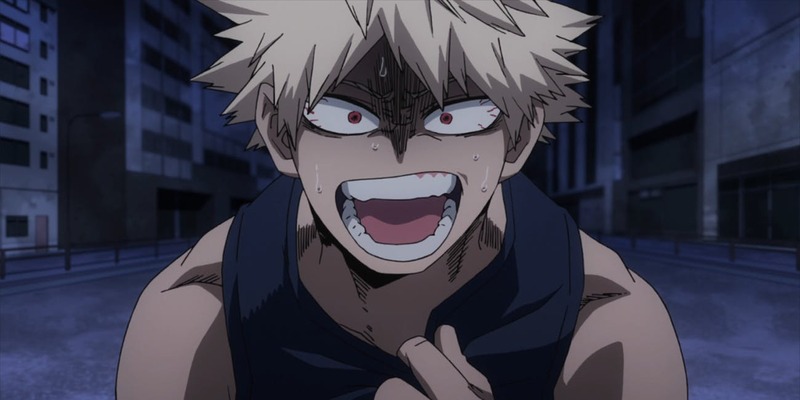 After his fight against Midoriya and his talk with All Might, Bakugo slowly began to see his flaws and acknowledge them, yes he still want to be the number one hero, but now he know that he can’t achieve that by being the jerk he was yes he was in middle school. I use to dislike him but now he is my top favorite character (sorry Aomine, I still love you tho so don’t be sad), Bakugo is a complex character, he is the that type of character that you have to learn to understand. I said it, he background doesn’t excuse his behavior, but despite the way he was seen by his peer, a strong boy who always win, Katsuki started to change for the better.